New York Fashion week, the start of a month full of mayhem. I know this post is quite late, seeing as London Fashion week is half over, but please forgive me.. school has been draining me! I'll get straight into my review anyways, I have only picked out a handful of collections to show you guys, but I hope you enjoy them as much as I did! Oscar de la Renta's collection oozed femininity and an array of wearable clothes adorned the catwalk. Florals and colours came one after the other and of course, the evening dresses were bolder and more alluring than ever - yet still wearable, something that a lot of designers are forgetting about these days. Fashion is art, yes, but we also need fashion that we can wear on a day to day basis..
Rodarte is 5 years old this year, and the collection shown was quite nice. I say 'quite' because it didn't wow me and personally, I wouldn't wear any of the pieces.. but they would suit other people. Porcelain blues and whites contrasted with the natural browns and greens. Skirts, shorts, dresses and trousers.. buttons, socks, layers and pockets. It was all there. Yet again, the pieces look wearable and it was a good, enjoyable collection overall - just not for me. Marc Jacob's however edged towards the more warm, berry colours. Purples, oranges and gold silks, backcombed crimped hair and an elegant flower pinned in each models hair, or a capacious hat took it's place.. I almost felt warm looking at the collection, everything reminded me of Summer and holidays. Not the clothes exactly, but the colours were so rich and vibrant. My favourite piece has to be the fabulous ruffle pink coat in the third picture, it's dolly nature stood out among the other pieces and the colour of it would make an amazing nail polish. Alexandre Herchcovitch may not be a household name, yet. Yet this Brazilian's collection absolutely amazed me to be quite honest. Any designer that loves colour and uses it to it's full potential - is a sudden winner to me. Not only did Herchcovitch match the beautiful bold pieces with the heels the models wore, he also matched their lipsticks and hands. Amazing. 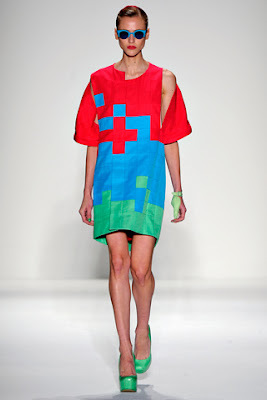 Tetris and paint splodge patterns, luxurious silks and as I mention again, the lipsticks.. the colourful lipsticks. Blues, greens, oranges, pinks.. wow. If I come across a blue lipstick anytime soon, I'm buying it. In love with this collection, possibly my favourite. I shall be looking him up straight away after this, I feel like I've missed out haha. 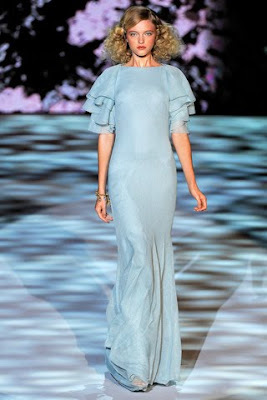 Badgley Mischka's collection was completely unpredictable, with about 10 trends gracing the catwalk.. something I love to see. Couture, Ready To Wear AND the Contemporary Mark & James line, all at once? Why not? They managed to keep a flow going to the show, yet each outfit had it's own story to tell and was different to the next. 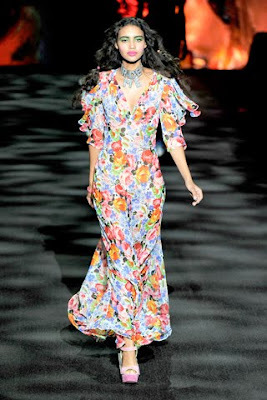 Alice in Wonderland pastels floated, while embellished strapless dresses wowed the audience, along with Grecian draping and of course, the 70s floppy-hat and flares combo appeared. A trend I would take note of, it will be huge! 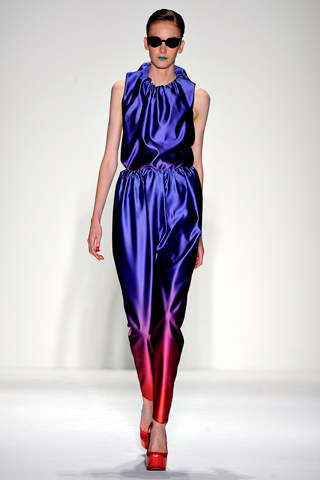 Barbara Tfank gave the 50s and 60s a modern twist with her new collections. Colours, patterns, gorgeous headbands.. I think this collection is fabulous. Of course, me being me and adoring anything 50s, I loved it. I assumed it would be mainly 60s inspired by judging the first few outfits, and thought maybe the 70s would appear in this collection also.. but no. The 50s and 60s both together in one collection, an odd and unusual combination.. two completely different ears when it came to fashion, along with many other things. But it worked, this collection had a fantastic energy to it.. Tfank's use of colour and monochrome go hand in hand and complement eachother. Betsey Johnson was is never going to have a boring collection, that's to say. This collection has made me fall in love with her, it is just... unreal. Every single outfit got a nod and an ''OMG'' off me. The images going through my head were insane, all I can sum it up in is, think of Strawberry Shortcake, meets 50s pin up with a bix of eclectic punk? Apart from the incredible use of prints, patterns and colours as usuals, they're was so much variety in this collection. Not to mention, how amazing are the 'RIDE ME' necklaces? Crazy, I love it. That's a selection of the images that popped into my head anyway. Everything from ballgown two-pieces, floral maxis to figure-hugging sailor playsuits. Unreal, that's all I will say.. and LET ME HAVE IT ALL NOW! 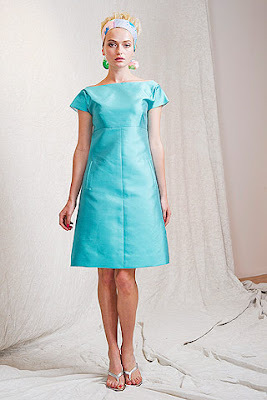 Especially the turquoise 80s princess dress (first picture).. Thank you. 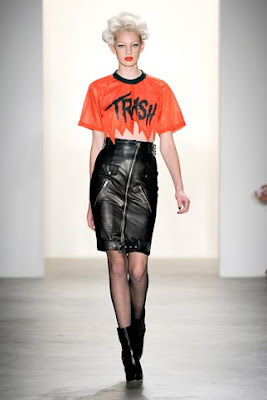 Jeremy Scott's collection was either loved or hated. I loved it, in fact, I adored it. Housewife roller hair, 'plastic bag' polyester slogan tees, soda cans, skeleton prints, leather and embellishment.. what's not to love? It's like the love child of Blondie and Danny Zuko. In conclusion, New York Fashion week has shown some incredible, and I mean incredible collections. With every trend under the sun popping up in a new light, it makes me excited for next Spring. Maybe for my birthday I will invest in a Alexandre Herchcovitch playsuit (I wish). 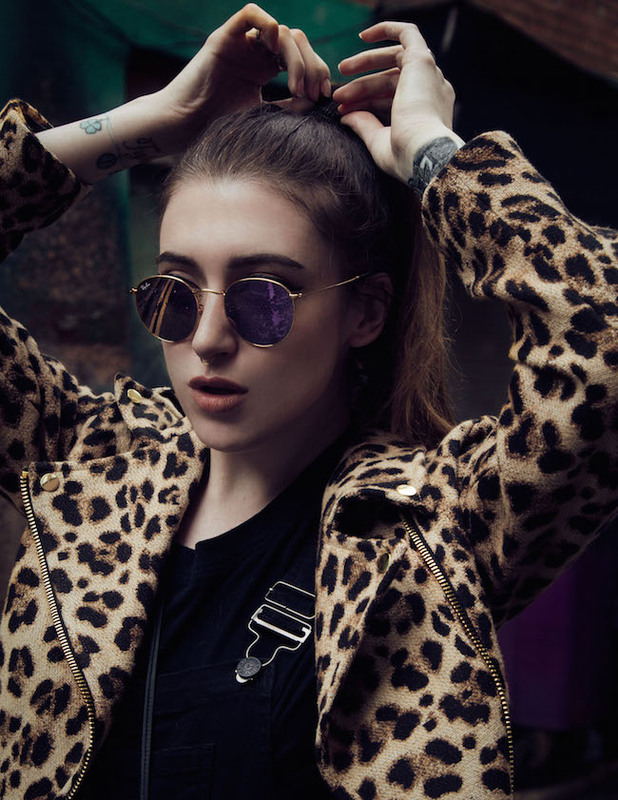 Already working on my London Fashion week post, which will be up early next week..
Also, I'm selling a ton of clothes and accessories on Ebay, for discount prices! Check them out, click here!